What do you define as a “friend”? Take a moment to think about your answer. Once upon a time people described true friendship as a connection between two fiercely loyal people who would give their lives for each other’s well-being. A true friend used to be thought of as a person who would stick with us through thick and thin; an alter-ego of sorts who we could confide in about anything and everything, and trust completely. These days the meaning of friendship has been somewhat diminished as we assign our drinking buddies, neighbors, colleagues and acquaintances with the “friendship” status (don’t get me wrong, some of these people can be true friends, but usually not). We even reward the strangers and distant associates on our social networking account “friend lists” with the devalued title, as though the word “friend” is nothing more than a worthless, futile word that can be tossed around and pinned onto anyone with a face. While it is great that we are open enough to assign anyone in our lives as “friends,” our ignorance of what a true friend is and what being a true friend means contributes to a great sense of isolation and loneliness in our lives. We have even turned “friend” into doublespeak with the modern word “frenemy” being used a way of describing people who you are friendly with (like with a friend), but secretly dislike (like with an enemy). Sociologist and psychologist Lillian Rubin conducted an intriguing study that was published in her book, “Just Friends: The Role of Friendship in Our Lives” back in the 1980’s which was created to discover whether people reciprocally identified each other as “best friends,” or not. To me friendship is one of the most pure forms of love among humans because it (rarely) receives any form of sexual or monetary gratification/compensation; just the joy of connecting deeply with another. Perhaps this is why we love and worship our pets so much? They often provide the only form of true soul friendship we can find immediately in our lives. The love of a pet is an unconditional love. Can you say the same for yourself or for others? 1. You can talk with a soul friend about anything. There is no need to hide any topic away or “walk on eggshells” when talking with a soul friend. Although they might have their own contrary opinions, you can nevertheless feel a refreshing sense of liberty and openness when talking with them. 2. Their criticism is constructive, not destructive. A soul friend wants to help you grow and build you up rather than tear you down … because why would they want to see you suffer? They don’t get any benefit from it. For this reason a soul friend is transparent and forthcoming with their critiques, and doesn’t resort to passive-aggression, bitchiness, or pretense. They trust in the friendship enough to know that an embarrassing revelation won’t toss the connection onto the rocks. 3. You truly feel heard and understood when in the presence of a soul friend. Rather than talking over you, misunderstanding what you’re saying, or always hogging the attention in a conversation, soul friends open themselves up to listening – truly listening, with the intent to understand your thoughts, feelings, dreams, or dilemmas. There will always be a balance of speaking and listening while communicating with soul friends, in other words, you will both talk and listen equally. 4. You can completely trust them. When you confide in a soul friend about something delicate or highly personal in nature, they honor your privacy and deeply respect the confidence you have placed in them. They do not use your revelations as secret social fodder behind your back, nor do they betray your trust by letting your confidential conversations leak out. You can trust them with your life. 5. They respect your boundaries. Rather than being pushy, needy, or demanding, soul friends respect your need for space and don’t take your personal boundaries personally. 6. They value forgiveness and don’t hold on to resentments. 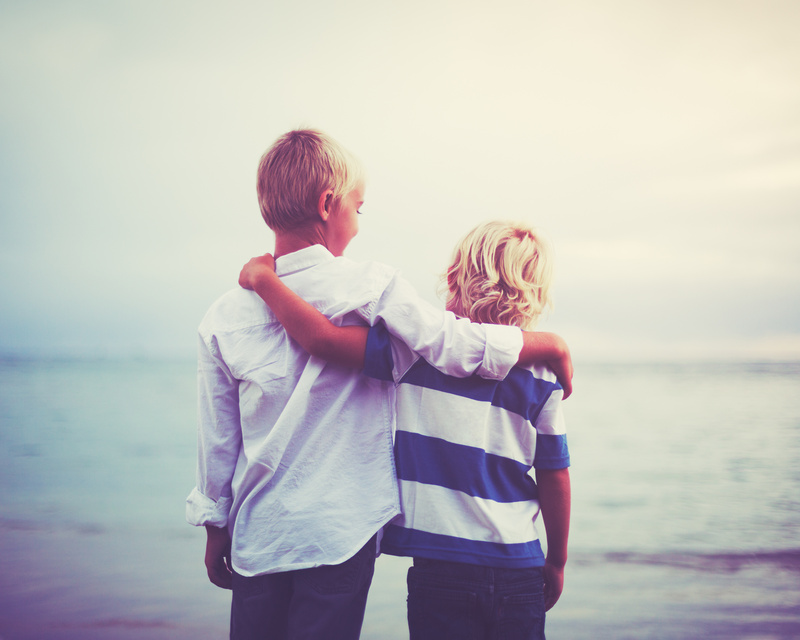 A soul friend is aware that no one is perfect (including themselves) and therefore they prefer not to hold onto bitterness and resentments. If they are angry or hurt, they prefer to talk about it directly and openly rather than hiding it away. While they will forgive you of your shortcomings, they know where to draw the line when repeatedly betrayed. 7. They see the best in you. One of the most precious gifts that a soul friend gives in a friendship is unfailing kindness and goodwill. While you might feel ugly, your friend will remind you of your beauty. While you might feel talentless, your friend will remind you of your many skills. In this way, they pick you up when you feel low, reminding you of your inner beauty, power, and capability. 8. Your soul friend is with you through thick and thin. A true soul friend is with you through your darkest nights and brightest days. As loyal, compassionate companions they are by your side when you are at your absolute worst, offering a helping hand and shoulder to lean on for support – and also when you’re at your most happy and successful, cheering you on in the sidelines. Regardless of what point you’re at in life, soul friends are the most loyal companions, confidants, and comforters. Who is a soul friend to you? How can you be a better soul friend? And how can you go about inviting such meaningful connections into you life?
? The Ocean Just Swallowed Part of a Beach in Australia [Video] These 15+ Seniors Are Proof That Tattoos Look Badass Later in Life ?